You save £17.00 that's 74% off! We aim is to provide the most energy efficient replacements for traditional lighting with zero compromise on quality or functionality. 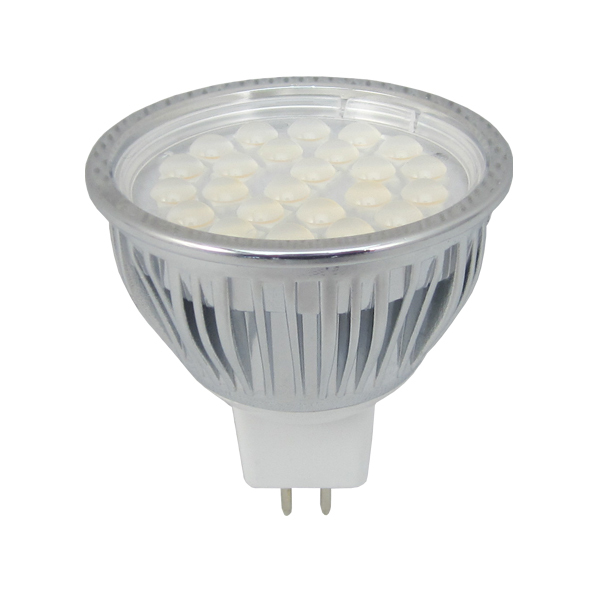 Our LED bulbs are therefore a standard size and a direct replacement for your existing 50W Halogen MR16 bulbs. Although they may initially be more expensive to purchase than a standard bulb, the benefits very quickly offset the purchase costs. Our bulbs have a life expectancy of up to 50,000 hours compared to the standard halogen which gives only 2000 hours. If left on for 8 hours a day 2,000 hours equates to only 249 days and in many cases a halogen replacement is needed much sooner. In comparison 50,000 hours equates to over 17 years. 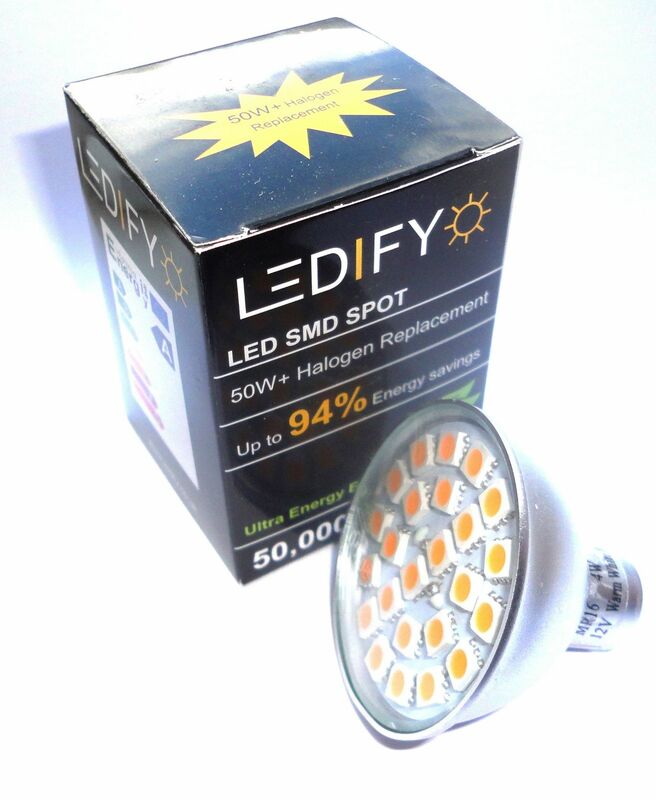 Each 4W SMD MR16 bulb features 24 individual Epistar 5050 SMD LEDs that are protected with a clear glass cover and produces a light output of 430 lumens which is equivalent to a 50+ watt halogen bulb. Our LED bulbs have been designed with a 60 degree beam angle to provide maximum light output. These bulbs are one of the most efficient available working at only 4 watts, and although the bulbs appear to be very similar, many competitors’ bulbs only manage to produce 300 lumens or less at this wattage. There is the potential to reduce your lighting electricity consumption by over 90%. Due to the efficiency of the product and our pricing structure it has enabled our customers to experience a very short payback period, typically less than 6 months based on a usage of 8 hours per day. A higher usage would shorten the payback. Please note that although this product will work with some traditional AC transformers due to its inbuilt AC/DC circuitary, we recommend using a LED driver that converts the alternating current into direct current whilst reducing the output power to 5 watts. If you are experiencing any flickering or strobing effects from your current bulbs a LED driver should in most cases solve this problem. A suitable driver can be purchased here.